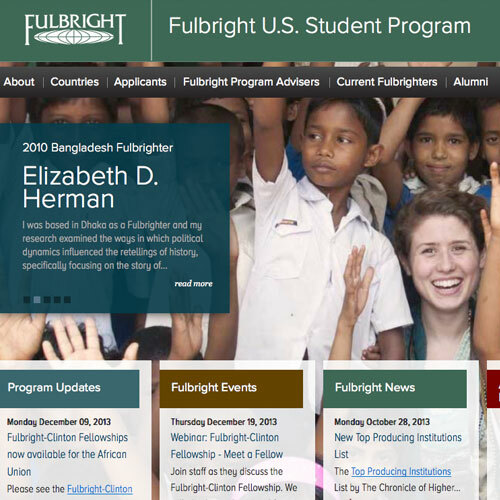 While most programs had an established online presence, the U.S. Fulbright Program was in need of various technical and design solutions, ranging from updated page layouts and CMS upgrades to online application customization and new server plan implementations. Working with IIE exemplifies one of Timemaster's greatest strengths, the ability to step into a project midstream, make accurate assessments and implement appropriate solutions, all without missing a beat. As new requirements arise, IIE, as with all of our clients, can rest assured their online business needs will be met with the most cost and time-efficient solutions.